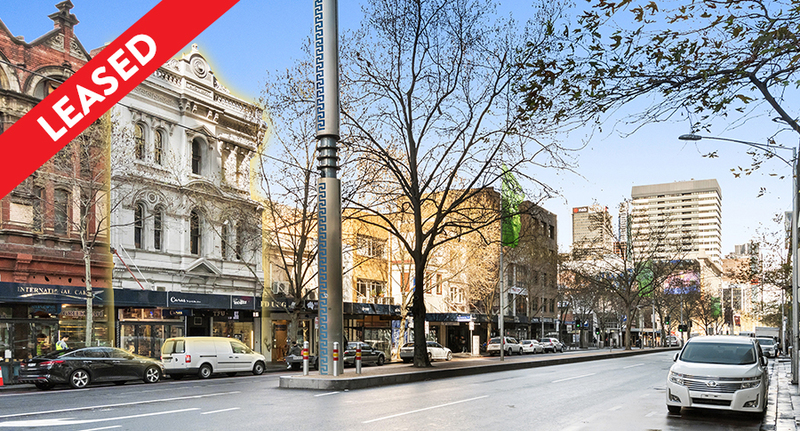 Alexander Robertson have recently leased the ground floor retail shop at 189-191 Lonsdale Street Melbourne. The former Ugg store (comprising of over 70 sqm) attracted numerous retailers to the popular retail strip in the CBD’s Greek Precinct, resulting in several offers put forward to lease the premises. Interested parties included three health/ vitamin businesses and general retail, with the successful applicant; No. 1 Vitamins opening its doors mid-January. Retail operators seeking to lease a premises in the nearby vicinity are encouraged to inspect 233 Exhibition Street, Melbourne; positioned at the centre of Melbourne’s Exhibition Street Theatre Precinct, and nearby Chinatown. The recently refurbished retail space comprises a ground floor area of 120 sqm and an optional upper level of an additional 90 sqm. Contact our office for further information or to schedule an on-site inspection. Leasing, Sales & Leasing Alexander Robertson, Chinatown, Greek Precinct, health food, leased, leasing, melbourne, Melbourne CBD, retail, Sales & Leasing, Theatre Precinct, ugg, vitamins permalink.